Horsemarket started its activity in Dargužiai village in 2000. Here, in the former soviet army territory, a number of land cleaning and relief formation works were done and the establishment of a horse stud, or, to be more specific, the development of loose boxes for seven horses was started in a former army hangar (garage). A year later, with a help of a partner, the company built a indoor arena and created the first outside park. One more year later, when Lithuania received European Union funding, with the help of SAPARD programme, a project was set-up, financial support was provided and in spring of 2005 Horsemarket team already celebrated an official opening of a modern riding centre and organized the first competition to signify this occasion. Horsemarket riding centre was established seeking to engage into a well-familiar, long-planned and dreamt activity: training horses at the seaside, equestrian sports, and all other activity related to them. 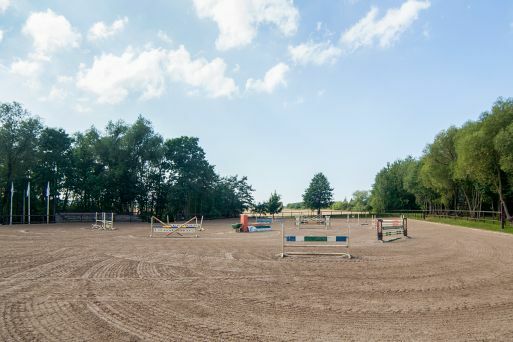 Today Horsemarket is also known as an organizer of Lithuanian Open Show Jumping Championship that has been taking place 12 years in a row. The riders working in the company all 12 years have been representing Horsemarket team in riding competitions of many different levels and have been claiming high positions in show jumping and dressage events. 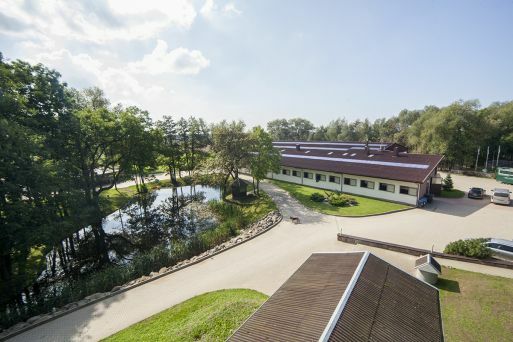 Riding coaches working in this centre have trained a number of great sports horses that later were sold to equestrian sports professionals and amateurs in Lithuanian, Russia, Switzerland, Germany, Denmark, Finland, Sweden, and even Israel! Most of the horses are still making their owners happy by performing well in international arenas. Horsemarket coaches (both show jumping and dressage professionals) are well-known all throughout Lithuania as highly qualified experts and appreciated by our clients, both beginners, and aspiring athletes not only from Klaipėda area, but from all around Lithuania and Yekaterinburg in Russia. Lately, we have been maintaining a beautiful friendship and strong business and sports relationship with clients from Yekaterinburg. This cooperation has been beneficial for both sides. Horsemarket has trained several athletes from beginner to a high level athlete. Two pupils trained by coaches working in our riding centre took part in European Youth Championships representing Lithuania. Horsemarket is also appreciated by horse breeders from abroad (Germany). They express their trust by leaving both, their young and also more mature horses, already taking part in sports, to our coaches. For 10 years already we have been successfully collaborating with Gerd Sosath family who are among the best breeders of German Oldendrug sports horses and also equestrian sports experts and specialists. Our company helped to deliver many other projects related to the building of riding centres Lithuania. We are proud to say that we contributed to the building of show jumping stadium situated in Harmony Park (Vazgaikiemis village, Kaunas district) which is currently the best in Lithuania. We also made our contribution to many projects related to the building of other equestrian centres and equipment acquisition. Horsemarket is an official representative of Böckmann trailers which are used for sports horse transportation and their spare parts in Lithuania. Finally, our company is famous for being the supplier of the most fashionable and luxurious riding apparel in Lithuania. At the moment we have a shop in Klaipėda and another one in Vilnius. Vilnius shop is a premium shop which opened at the beginning of 2015. Horsemarket team is made of specialists who are always ready to help you. For many years we have maintained a good relationship built on mutual trust with our foreign partners in various equestrian sports. 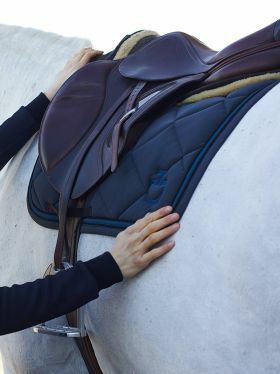 We have many years of experience, ranging from individual experience of each coach and employee, to an overall company experience in: horse training, horse trade, horse search, contributing to various equestrian centre building projects, acquisition of Böckmann trailers and their spare pats; riding equipment and apparel trade. We always know what to offer you, because here riders work for riders! I agree that my personal data can be collected and managed for direct marketing purposes. Subscribe and win 30 EUR gift card! Subscribe HORSEMARKET newsletter and win 30 EUR gift card! We will contact the winner in 2019 May 31.